Mikladalur is a tiny village off the mainland of Norway in the Faroe Islands. Tiny, as in the population in 2005 was just 44 people! Its small population is probably one of the reasons it's such a joy to fly in. 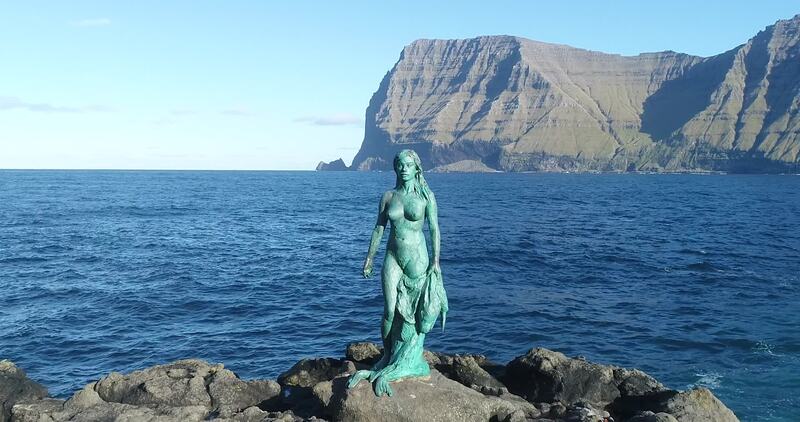 Meaning "great valley or dale" it is the largest of the four towns on the island of Kalsoy and features the incredible landscapes those familiar with the Faroe Islands have come to expect. Description: One of the most iconic places you will ever see in the north atlantic. Mikladalur is a photographers paradise.